Whenever we talk about an essential contribution in any field, we always describe it as “revolutionary”. Perhaps we abuse this term so much that it ends up losing some of its meaning. But in France in the early nineteenth century, being a revolutionary had a more literal character, and therefore a riskier one. Évariste Galois (25 October 1811 – 31 May 1832) was revolutionary in two fields, politics and mathematics, and from a very young age; perhaps too young to enjoy a long life. He died tragically at age 20, though not over politics or mathematics, but for a reason that forged the legend of a romantic genius. The politics came from his family. His father, the republican Nicolas-Gabriel Galois, was mayor of the town of Bourg-la-Reine, near Paris. His mother, Adelaide-Marie Demante, from a broad classical education, took to educating Évariste at home during his early childhood. When the boy began attending school at the age of twelve, his revolutionary nature began to surface in a France roiled by great political tensions, ruled by a constitutional monarchy that many mistrusted. 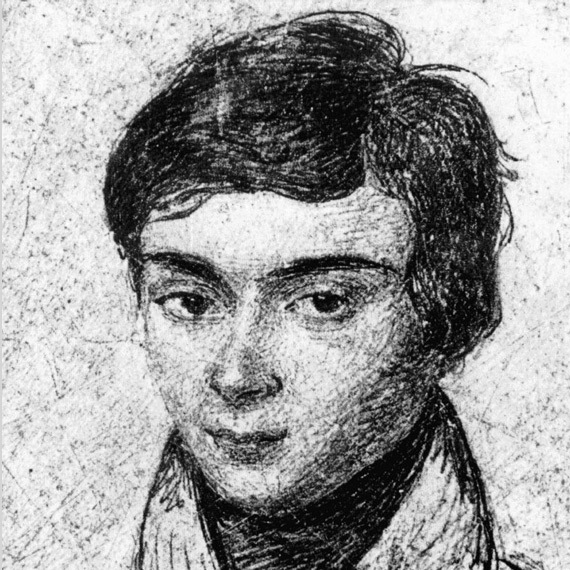 At school, Galois fell in love with mathematics, far from his family tradition. His competence was much higher than his companions and he devoured Legendre’s Elements of Geometry, reading it like a novel, and he soon put aside textbooks to devote himself to studying the original works of Lagrange. His great ambition led him in 1828 to try for an early entry into the École Polytechnique. He failed; despite his intelligence, he did not yet have the necessary training. For Galois, the École Polytechnique was not only the best institution for mathematics in the country. The school was also home to an active republican movement, which would have a prominent role in the overthrow in 1830 of King Charles X, the last Bourbon King of France. When Galois failed the entrance exam for the second time –according to legend, after throwing an eraser at an incompetent examiner–, he had to settle for the more modest École Normale. While the revolution caught fire in the streets, Galois and the other students of this school were kept behind walls under lock and key, and his subsequent complaint about this in a letter to the press led to his expulsion. Meanwhile, his career in mathematics was progressing in fits and starts. Although he published several works in his life, his greatest contribution remained blocked at the gates of the French Academy, first by Cauchy and then by Fourier, whose death resulted in the loss of Galois’ manuscript. That paper solved a century-old problem, demonstrating the conditions necessary and sufficient to solve polynomial equations by roots. And yet, his main achievement would not see the light until after his death. But Galois’ problems were not just a case of simple misfortune; his political fervour made him a magnet for trouble. After his expulsion from school, he enlisted in the artillery unit of the National Guard, a republican militia hostile to the new king, Louis-Philippe I of Orléans. During a celebration in April 1831, Galois toasted the monarch with a dagger on his glass, a cheeky act that landed him in prison. 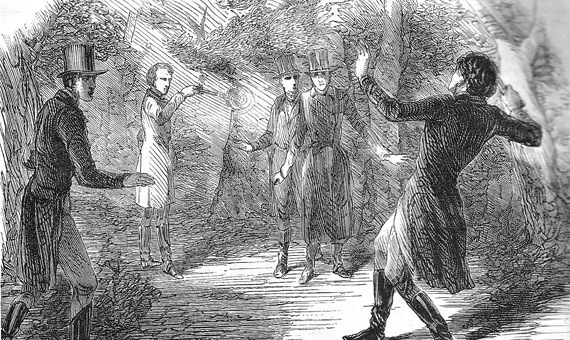 He was released in June, but the following month he would once again be in trouble with the authorities when on Bastille Day, July 14, he was arrested, armed to the teeth and wearing the uniform of his outlawed militia. That last night has fed the legend of a romantic genius, painting a Galois who rewrote all his algebra a short time before keeping his appointment with death. Although this is not true, it is known that he gathered his works together and wrote several farewell letters. “I have not the time,” he annotated on one manuscript. On 31 May he expired in the arms of his brother: “Do not cry, Alfred! I need all my courage to die at twenty.” Galois was buried in a common grave at the Montparnasse Cemetery. Today his remains are lost, but not his legacy. Before he died he wrote: “Please remember me since fate did not give me enough of a life to be remembered by my country.” Perhaps this statement was the penultimate of his big mistakes.